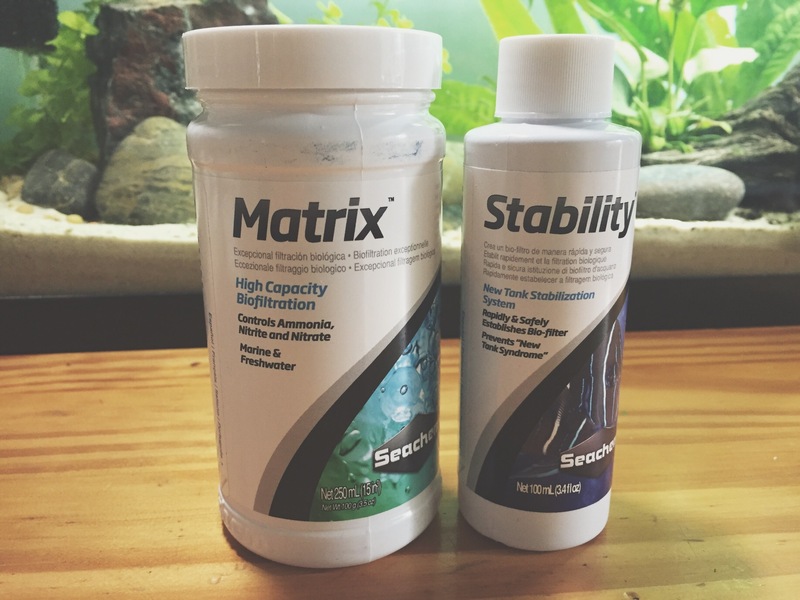 The Marina S10 filter came today, got it set up with Seachem Matrix Bio Media and dosed with Seachem Stability. 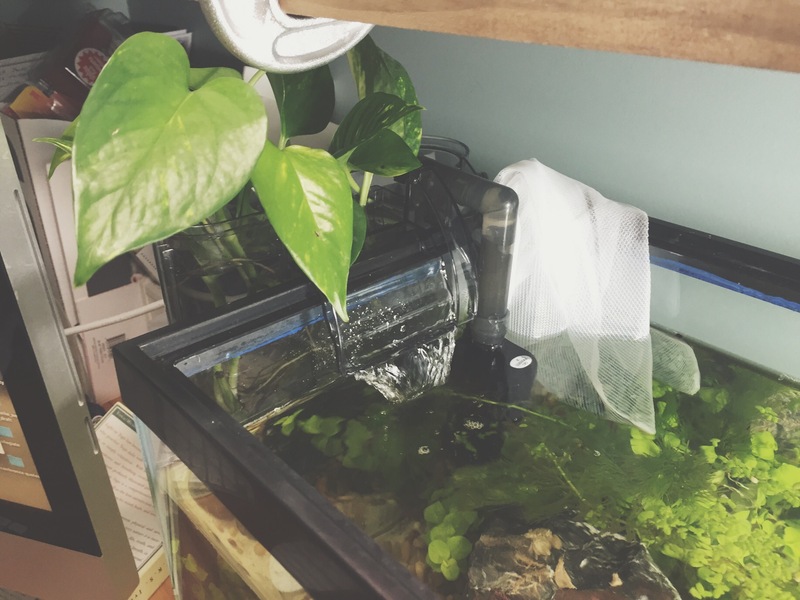 I put the filter on the side because there’s a little more room for the Pothos vine there. This set up makes for some dead space on the far side of the tank. Will keep an eye out for biofilm there, and see if it become a problem. The cuttings and roots are now in the filter itself with the Seachem matrix underneath. I used about half of a 250ml jar of the Matrix. 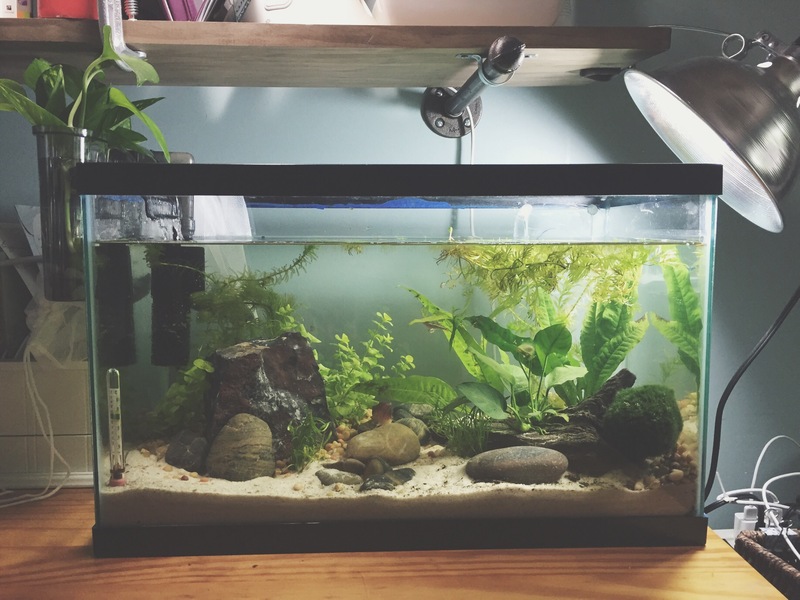 I couldn’t find a 100ml on Amazon, but I figure now I have enough to set up a second ten-gallon sometime. Yes, I might already be suffering from multiple tank syndrome, lol. Best part is the ammonia is now down to 0ppm!! And I didn’t change the water today. I had put a filter bag with some Zeolite crystals in yesterday as a stop-gap until I could get the filter running. I will take that out tomorrow morning. I’m not sure if the Stability zapped the ammonia or the flow of water next to the Zeolite because by themselves, the Zeolite didn’t help that much yesterday. 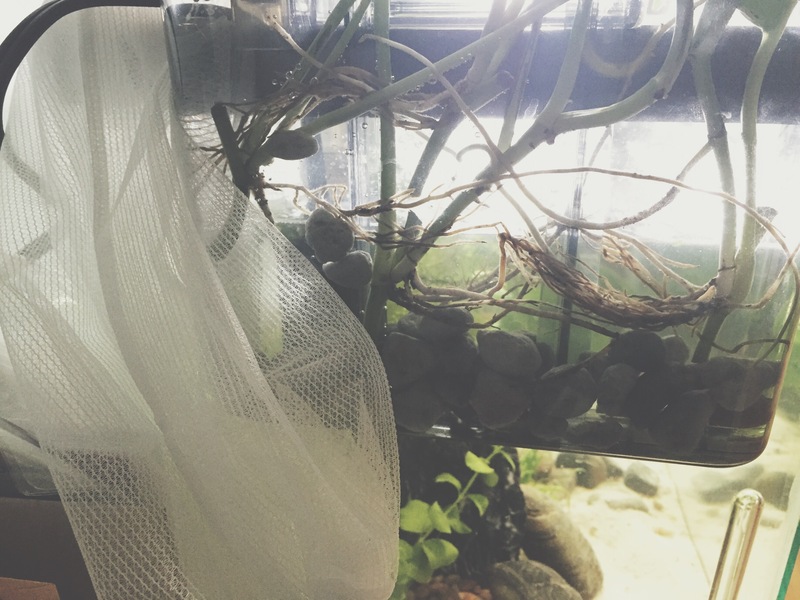 You don’t want to have to use Zeolite except in an emergency because ammonia should be zero, but I couldn’t get this tank out of it’s mini-cycle with the fish and I wanted to be sure I didn’t hurt them or lose the shrimp.